The information on this website has been prepared by Hohauser Kuchon for information purposes only. It is general in nature. It should not be construed as legal advice or legal opinion on any specific facts or circumstances. It should not be relied upon to make legal or medical decisions. There can be no representation without a signed retainer agreement by the client and a member of our firm. Individuals should not act upon any information provided on this website, and should seek the advice of an attorney licensed in their state. 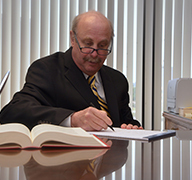 Hohauser Kuchon practices law within the state of Michigan. All information on this website pertains to the law in the State of Michigan. The laws of other states may be entirely different from the law in the State of Michigan. This website is directed to those persons seeking information regarding claims based on Michigan law. 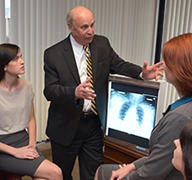 However, we are happy to answer general questions and provide referrals to attorneys throughout the United States. No action related to the transmission, reading, distribution, or submission of information by, from, or to this website, or to Hohauser Kuchon via this website, will create a contract for representation by Hohauser Kuchon. A contract of representation with Hohauser Kuchon can only be created after consultation with one of our attorneys, and after you and a member of our firm sign our standard contract. This website is not an offer to provide you with legal representation. Any client results discussed on this website are meant to serve as examples only and are not a guarantee of your outcome if we represent you. Each case is different and the outcome of each case depends upon the specific facts of that case. The testimonials and case examples are illustrative only and not a guarantee or promise of the results on any specific case. Please do not send confidential information to Hohauser Kuchon via this website or other e-mail. Please be advised that the attorney-client relationship will not protect your communications, until you and the law firm with which you communicate have expressly agreed upon legal representation. 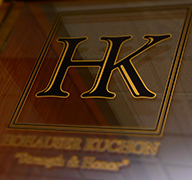 Hohauser Kuchon makes every effort to respond to communications and inquiries as promptly as possible. However, due to court appearances, depositions, trials, meetings and other absences from the office, we cannot guarantee that we will always be able to timely respond to your questions and inquiries. If you have a time-sensitive inquiry, please call us at (888) 955-4550.